​CHERRYL LEE “CHERRI” WRIGHT beloved wife of the late Edwin Bruce Wright passed away peacefully on Thursday July 20, 2017 at the Lethbridge Regional Hospital at the age of 61. Cherri was born and raised in Cardston Alberta, October 16 1955 to Fay Broadbent and LaVonte Marsden. She grew up in Leavitt with her 4 loving sisters and her 2 caring brothers. While attending a Temple trip to Seattle Washington she met the love of her life, and was later married on Dec 20 1980. Cherri was raised in Leavitt and was always the life of the party. The “Leavitt Gang” was always throwing parties, and Cherri could always be found right in the middle of it all telling jokes and playing pranks. She later went on to attend Lethbridge Community College to become a hairstylist. She worked at several hair salons throughout her career, but spent most of her years doing hair at the Grandview nursing home. She loved spending time with Bruce going from field to field checking on the beehives that they owned. She retired from hair dressing after the tragic accident that claimed the life of her sweetheart Bruce in June 1990. Cherri was well known for her love of jokes and her sense of humor. She would greet everyone with a smile and a joke. Some of her favorite hobbies included, sewing, making quilts for her grandkids, teaching ceramic classes, scrapbooking, and water ballooning innocent victims. She leaves behind many wonderful memories for her 3 children: Darcy (Jocelyn), Ryandel (Donald Heikkinen), Victoria Berrigan (Jared Daley). She will be deeply missed by her 7 grandkids: Kenzie, ShaeLee, Terek, Addison, Emily, Kalvin, and Eila. She also leaves to mourn her siblings: DeNiese Waterstreet (Al Pearen),Tom (Kathleen), Lynn (Nora MacIsaac), Jean (Dennis Wilson), Linda (Howie Burwell), Louise (Keith Barzee). Cherri was also loved and will be missed by many nieces, nephews, cousins and in-laws. Cherri was predeceased by her parents, Fay and LaVonte Marsden and her husband Bruce Wright. Please come and join us in celebrating our Mothers life with us. 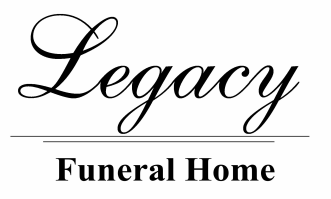 Friends may meet the family on Friday ONLY, July 28th at the Legacy Funeral Home in Cardston from 7:00 to 8:00 p.m. The Funeral Service will be held at The Church of Jesus Christ of Latter-day Saints, Temple Street Chapel in Cardston, on Saturday, July 29th, at 11:00 a.m. Interment to follow in the Leavitt Cemetery.